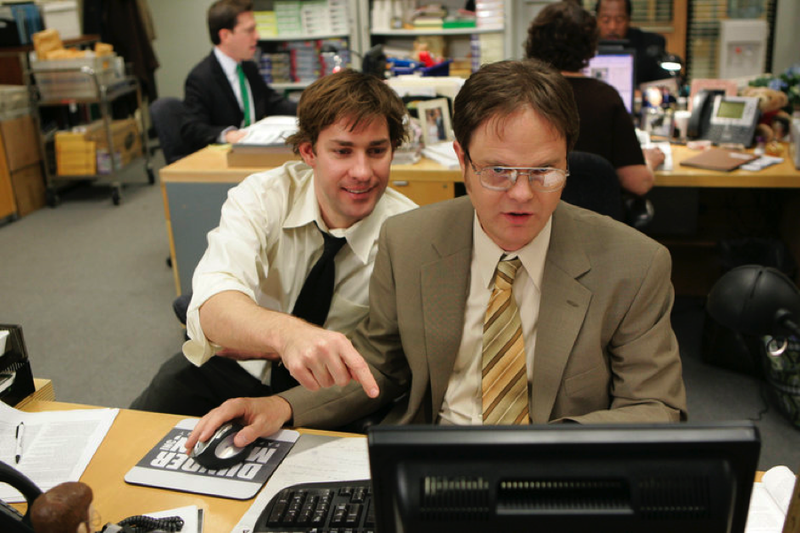 In the world of television, the office can be as much a central character as the actors themselves. 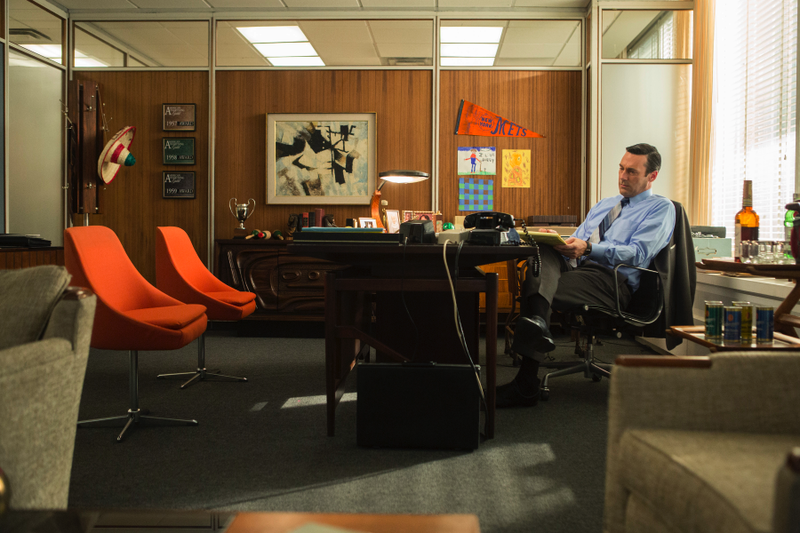 The offices of Sterling Cooper in “Mad Men”—which captured the essence of early midcentury design, and later embodied the kitschy colors and bold designs of the late 1960s—provided more than just a backdrop to the motivations of the show’s characters. In HBO’s comedy “Silicon Valley,” Erlich Bachman’s dorm-room-esque incubator captures the threadbare origins of Pied Piper, a middle-out compression company on the cusp of revolutionizing the tech industry. Then there are the set pieces used in “The Good Wife,” which were striking enough to inspire a new personalized collection sold by home furnisher Mitchell Gold + Bob Williams. Here are seven TV workspaces that Blueprint ranks among the most iconic to appear on the small screen. 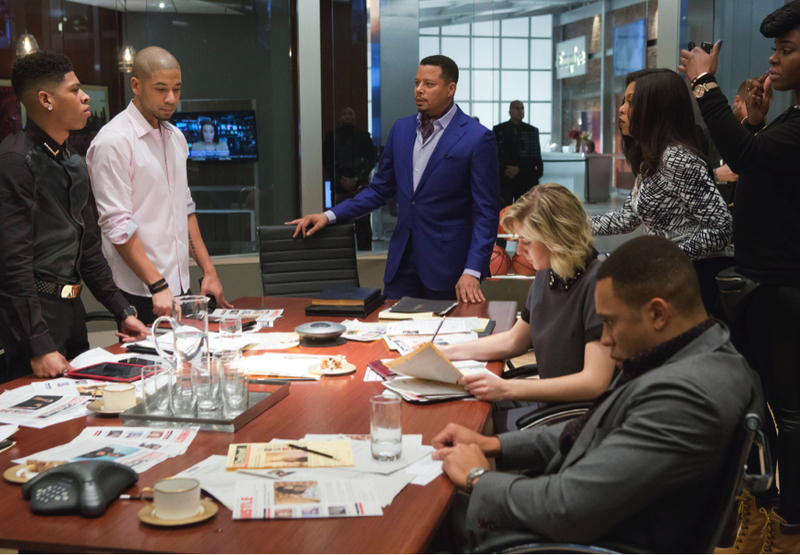 The offices of Empire Entertainment are where co-founder and CEO Lucious Lyon (played by Terrence Howard) turned his recording label into a giant, multi-industry enterprise. They’re also where viewers of the wildly popular show can watch the drama that often unfolds when business and family are mixed. In the HBO comedy “Entourage,” super agent Ari Gold is a force of nature in uber-competitive Hollywood. The design of the office of Miller Gold (later renamed TMA), the agency where Gold (played by Jeremy Piven) held court, was influenced by the real Endeavor Talent Agency’s offices, the agency that was co-founded by Ari Emanuel, the inspiration behind Gold’s character. Chase Harlan, the show’s production designer, told Architectural Digest that the office of TMA was designed to be transparent. “We did the center fishbowl conference room where Ari could watch everything,” says Chase. 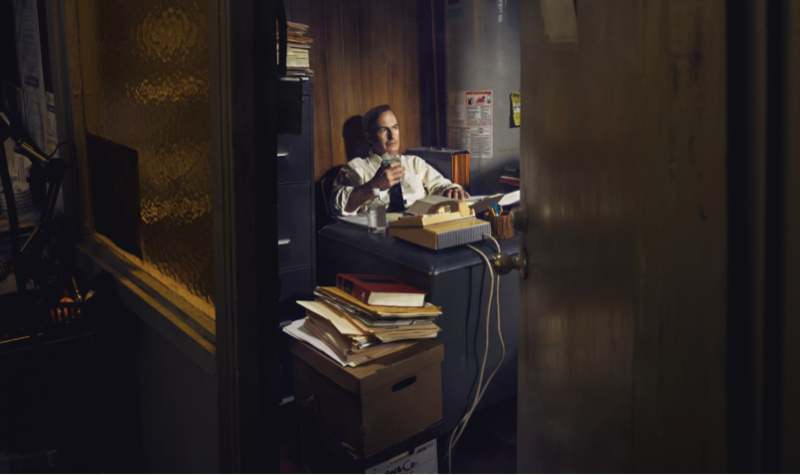 As a fledgling ambulance chaser in the AMC show “Better Call Saul,” Jimmy McGill (played by Bob Odenkirk) isn’t exactly rolling in the dough. To keep costs low, he rents a tiny office space in the back of a nail salon, where he also sleeps. To save face, he answers his calls by pretending to be his English assistant. His struggles won’t last long. The show, which is a prequel to “Breaking Bad,” will eventually reveal how McGill became Saul Goodman. The makers of “Silicon Valley” go through great pains to ensure that every aspect of the show is accurate. The show has tech advisers on set to help authenticate the minutiae of the highly sophisticated startup scene. To get inspiration for the corporate campus of Hooli, the show’s fictional mega-company, production designer Richard Toyon told Fast Company that he personally toured the offices of Facebook and Google to ultimately design an office space that was “very interactive and sort of newer in terms of the corporate culture.” The result: a campus that has popcorn stands and an 11-foot-long walnut tree trunk that serves as the desk of Hooli CEO Gavin Belson (played by Matt Ross). The highly acclaimed CBS legal drama “The Good Wife” tells the story of Alicia Florrick (played by Julianna Margulies), the wife of a disgraced politician who returns to work as a lawyer at Stern, Lockhart & Gardner. 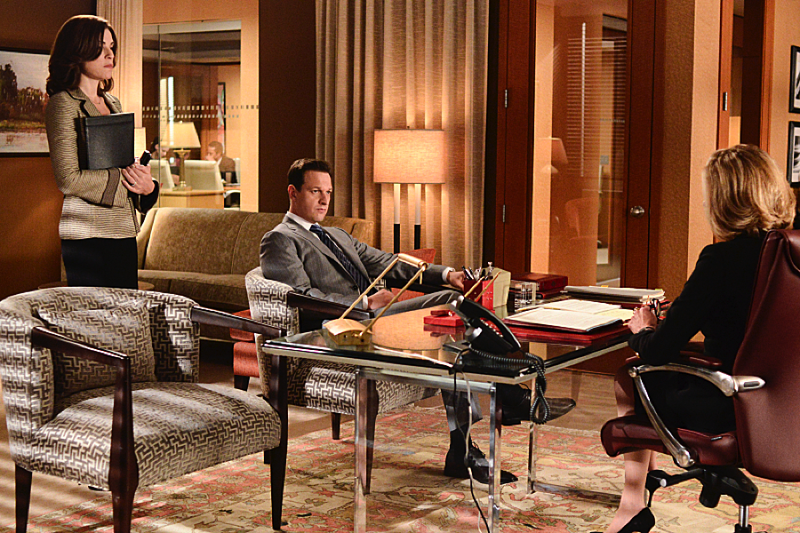 Fans of the show loved the set designs so much that CBS created “The Good Look of The Good Wife,” a blog that details the designs of each set, from the office chairs right down to the paperwork. It wasn’t just the fans that adored set decorator Beth Kushnick’s work. Designers Mitchell God + Bob Williams collaborated with Kushnick on a new furniture line inspired by the show. In “Mad Men,” the sixties-era AMC drama centered around the life of adman Don Draper (played by Jon Hamm), advertising firm Sterling Cooper Draper Pryce became one of the first tenants in the Time-Life Building in 1964, just a few years after the building (designed by the real architecture firm Harrison, Abramovitz & Harris) opened. Set designer Claudette Didul-Mann decorated the office with furniture from Herman Miller’s actual 1964 catalogue. The “Mad Men” aesthetic was so celebrated by fans and critics alike that the Museum of the Moving Image in New York City hosted an exhibition that showcased the show’s intricate set pieces, costumes and props. Situated in quaint downtown Scranton, Pa., the office of paper sales company Dunder Mifflin in the NBC comedy “The Office”—based on the original British comedy—features a fairly unremarkable design. 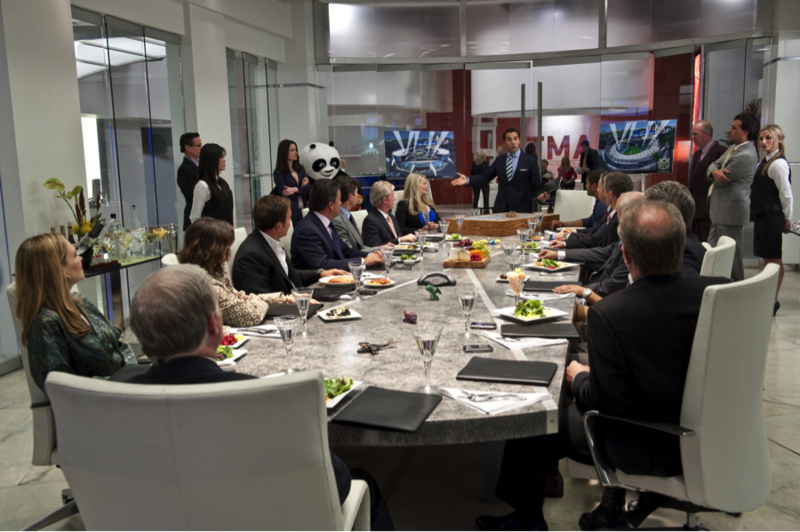 Employees sit in shared workstations while Michael Scott, their egomaniacal boss played by Steve Carrell, sits in his executive office. As “The Office” showed throughout its nine seasons, a paper company and its employees are anything but boring.